Getting the chance to purchase BTC through a website that you like is probably the most efficient way to get Bitcoins today. But this simple task of logging into a BTC broker with your username details and password isn’t that easy for some people, especially our friends from the United States. As we all know, not all websites accept registrations from the US, making it hard for people that live there to purchase Bitcoins. With this being said, we have provided people that are based in the United Sates five options to choose from. These websites sell cryptocurrency and we will try our best to compare them from one another by highlighting important things like payment options, website features, and of course, available crypto for sale. Without further delay, let us talk about the best five US-Friendly Bitcoin brokers! Anonymous trading is available in SimpleFX.com and they accept US customers. The website was established in 2014 and supports 15 Languages! The company is located in Saint Vincent and the Grenadines. To create an account, all you need to have is an email address. What’s great about this website is the trade volume and available pairs you are able to choose from. Payment Options – What’s awesome about this website is the number of payment options they have available for you to choose from. They have BTC, DASH, ETH, LTC, Credit Cards, Skrill, Neteller, Wire Transfer, FasaPay, and MegaTransfer. Minimum deposit starts from 0.1 USD up to $20 USD. Withdrawal – Crypto withdrawals do not have any charge when it comes to fees but the minimum request starts from 0.001 BTC up to 0.05 LTC. When it comes to Fiat withdrawals, the website charges a minimum fee of $10 USD per transaction request. Website – The website is fun and informative. They have all the important tabs tucked on the left-hand side of the account page. They also have training videos that can help a new trader navigate their website easily. They also have a demo account, which is always great to have! Available Market – Users are able to trade with different markets like crypto/fiat pairs, Forex, Indices, Commodities, and a lot more! This website does not joke around when it comes to trading pairs as they have more than enough to go around with. Aside from being a US-Friendly trading website, Coinut.com has also the capability of being an anonymous platform for people that prefer anonymous trading. Coinut Pte. Ltd., has been operating since 2013 and has provided trading services for people around the world. The company is located in Singapore, which is great since their government is swaying towards the positive side of cryptocurrency trading. Payment Options – There are more than just a couple of payment options here at Coinut.com since registered users are able to choose from currencies like BTC, LTC, ETH, ETC, USDT, BCH, and an option to go USD after all the requirements have been submitted. Withdrawal – Withdrawal methods is a mirror image of what they have for deposits. This ensures easy access to your funds whether it is going in or out of the website. Withdrawal fees start from 0.001 BTC per transaction. Website – The website is spotless, as expected from a Singaporean-based company. There are no lags experienced when we tried to simultaneously open up different tabs. Aside from their spotless website, they also provide referral incentives, which is great. Available Market – Registered account holders are able to trade with different crypto pairs. There are no maker fees in Coinut.com, which is great since this would be a big saving when it comes to long-time trading plans. They do charge takers, which is 0.1% of the total transaction value which is lesser compared to regular trading websites that reach up to 0.25% on taker fees. Founded in 2016, Evolve.Markets is a fairly new website amongst the giant crypto-trading websites out there today. The company is based in Saint Vincent and the Grenadines and keeps their BTC funds in cold wallets. In addition, this website just like any most of BTC trading websites is not being regulated by any regulatory body. Payment Options – The website strictly only accepts BTC payment from your BTC wallets. There are no transfer fees when it comes to deposits here at Evolve.Markets. Withdrawal – What’s great is their withdrawal fees because they do not exist! Yes! The only withdrawal option here at Evolve.Markets would only be BTC but there are no network fees that you need to pay, everything’s covered. They do have a minimum withdrawal amount which is 0.005 BTC per request. Website – They do have a demo account here, which is great for people that love to explore trading platforms and try out their features without spending any money. They also have a really flexible leverage system in the website wherein you are able to choose freely depending on what leverage you need. Available Market – Here at Evolve.Market they have different trading platforms that you can choose from. This would be their Web Trader, Android, and iPhone versions of the platform. Available markets range from crypto/fiat pairs to Forex and commodities. There are two different account types in Markets.Evolve, this would be Classic and Pro. A classic account has commission built into the spread while on the other hand; the Pro account has tighter spreads but charges commission per trade. Located in Hong Kong, China, BitMEX.com has become a website that most people that are banned (US) would be able to create an account here to experience their 1:100 leverage feature. Creating an account with them is so easy that you do not need to provide any ID, this also includes trading capabilities. Anonymous trading is possible with the website since they operate solely on Bitcoin. Payment Options – Just like the provided website above, BitMEX.com only accepts BTC payments. And the minimum deposit amount is 0.0001 XBT. Withdrawal – When it comes to withdrawals, BitMEX.com charges a Bitcoin network fee of 0.0064 XBT per transaction. Since all withdrawals go through a manual process, it would take 24 hours for the funds to clear an appear on your provide personal wallet address. Website – The trading platform is great, and there were no latency issues when we tried it out. 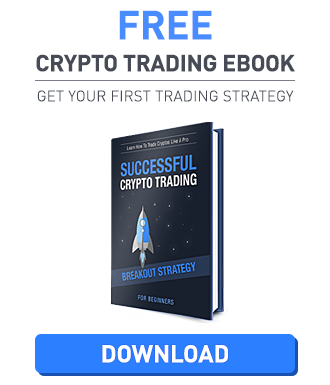 In addition, BitMEX.com offers trading guides for new traders to take advantage of. It would have been cooler if they had a demo account that we are able to try out, but they do not have it here. Available Market – Making up the available market to trade with here at BitMEX.com would be their cryptocurrency. To name a few they’ve got pairs like BTC/USD, DASH/USD, ETH/USD and a lot more! Would have been great if they had Forex or Commodities trading, this would have made it all better. Trading fees would are different depending on which currency you are trading. For example, when you want to trade BTC the maker fee is at -0.0250% and the take fee is 0.0750% and the settlement fee is 0.0500%. The complete list of fee schedules can be viewed here. *Update: Bitmex does not allow US Traders anymore. If you are from the US and you still want to use Bitmex – a Virtual Private Network (VPN) might help you to get a non-US IP. But be aware that this is not recommended by the broker. You might lose access to your account. If you want to do it anyway, you can find a list of vpn providers on this site. Yes, the name is definitely familiar! That is because 1Fox.com is a sister website of 1Broker.com from the company 1Pool Ltd. The website launched on Christmas Day in 2017 and enabled paper trading on January 2018 and officially launched a month later. The website offers BTC/USD services with leverage! In addition, US traders will have no issues creating and trading with them. 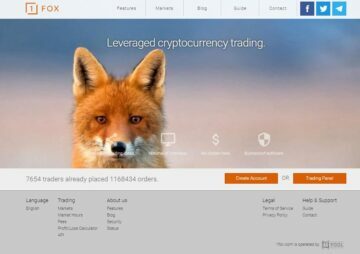 Payment Options – In order to trade here at 1Fox.com you only need to head on to your account page and click deposit and you will be provided with the unique BTC address. Please be advised that they only accept BTC deposits and no Fiat is supported. Withdrawal – The BTC withdrawal fee is fixed at 0.00001088. Website – If you have an account with 1broker.com or visited that website then you will feel at home with 1Fox.com. It’s both simple but informative at the same time. The only difference would be the “copy trades” feature available on the other website since 1Fox.com doesn’t offer that feature. Available Market – The website was created to focus on one market (as of this moment) alone which is BTC/USD with the use of BTC deposits. Compared to its sister website, 1Fox.com focuses on one market alone. The website offers leverage as mentioned earlier which can go up to a maximum of 1:10 per trade. When it comes to fees they do not charge Maker Fees and only charge 0.04% for Taker Fees. Provided above are five of our preferred website to purchase BTC or any other available crypto for your personal or trading use! Some of these websites also double as a trading platform wherein you are not only able to purchase BTC but trade them as well. As always, this is just a recommendation from us and we urge you to read more about a website before investing money in it.